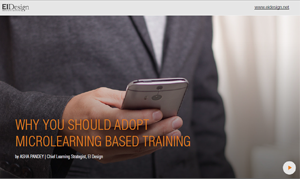 Increasingly, Mobile Learning or mLearning is becoming an integral part of an organization’s learning strategy. 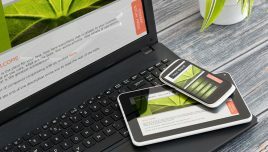 Today, many organizations have a Bring Your Own Device (BYOD) policy in place that recognizes the learners’ demand to choose the device they wish to use for learning. In this article, I will outline the usage of Mobile Apps for learning. Mobile Apps are one of the delivery formats that offer the additional flexibility of offline viewing of the eLearning course to the learners from their mobile devices. (They need to have an internet access to download the course and then they can view it with/without the internet connection. However, to track their progress through the LMS, they must be connected to the internet as only then can their progress information be passed on to the LMS). 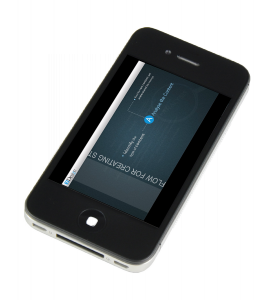 mLearning effectively blends the “anytime-anywhere access” to varied forms of learning delivery. 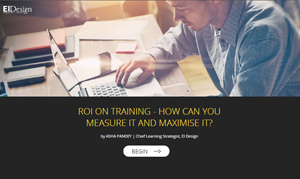 The options available on mobile devices today include formal training, supplements to formal training and specific Performance Support Tools (PSTs). 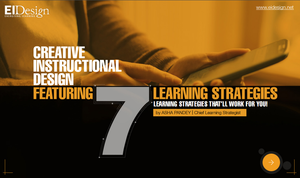 Where do Mobile Apps find the right fit in today’s learning strategy? In my earlier article “Improving ROI in eLearning”, I had referred to the Five Moments of Need model (by Dr. Conrad Gottfredson) that can be used to ascertain when learners seek learning support. Let us see how this model can be used to determine the right fit for Mobile Apps for learning too. 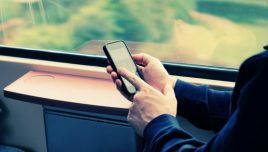 Where do Mobile Apps for learning provide an edge? If you look at the five moments of learning need, the first two typically map to formal training while the next three map to Performance Support Tools (PSTs). Mobile Apps can be used equally effectively to offer formal training (bite-sized) or supplement formal training. But this is not all. PSTs (particularly Ready Reckoners, Checklists, Tips, and so on) are designed to be made available to learners within their work-flow. Making them accessible to the learners on their mobile devices encourages them to use it on the job. Hence, PSTs are a great fit for Mobile Apps. Let us look at these possibilities in further detail through some examples. For primary learning (formal training): They can be used for primary learning provided they are packed as micro-learning nuggets. 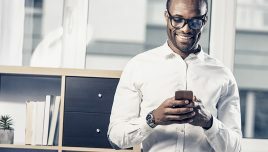 Mobile Apps can be a good fit for mandatory courses (such as Compliance) where the extended flexibility of accessing the course even when not connected over the internet can increase the completion rates within the stipulated time. They can also be used to render the components of Induction programs. 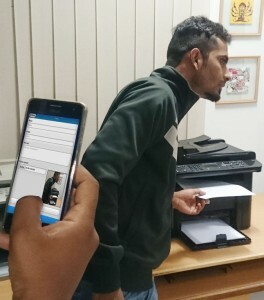 Example 1: Parts of Induction programme available as a Mobile App: This is helpful for new employees to get flexibility to read part of the information in offline mode. 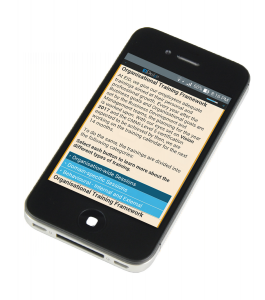 Mobile Apps are a good fit to provide pre and post assessments for formal training (online or blended). They can be effectively used as practice sessions or reinforcements of formal training through Videos/Examples/Scenarios. 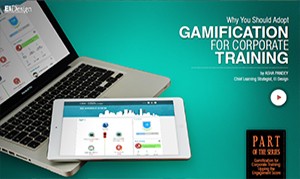 Example 2: A Time Management Gamified App to practice of Time Management exercises. 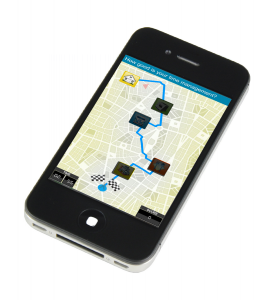 Example 3: A Mobile App demonstrating the processes to be followed on the job, as a ready reckoner. 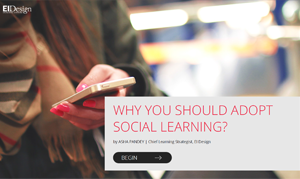 Social Learning: This is an emerging area for usage of Mobile Apps that can encourage collaborative learning. Learners can share their inputs and learning experiences and also upload content that can be curated and shared with other learners. 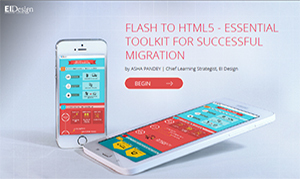 What aspects you should watch out for before initiating Mobile Apps for learning? Learning strategy: This is the start point and the L&D team must identify suitable areas of learning delivery through Mobile Apps. Organizational learning culture: This can be an impediment if a majority of the learners are not comfortable with mobile device-based learning. 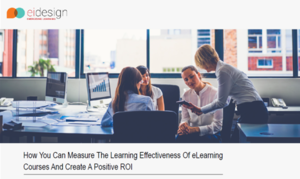 To mitigate this, L&D teams can start with programs that find a good fit for Mobile Apps and build from this success to encourage other learners. Organizational policy: It is also possible that while learners are ready to embrace this kind of learning, the organization may not be ready with a policy to support it. 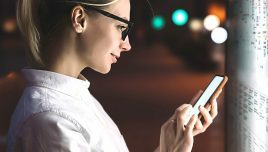 In such situations, Mobile Apps can still be used to promote awareness programs (including Change Management initiatives) and these success stories can help management re-look at their policies. Technology issues: The LMS needs to have support for Mobile delivery and this change/upgrade may have a significant cost associated to it. As we have seen so far, Mobile Apps can support both informal (including Performance Support) and social learning models. In a bite-sized mode, it can also be used for formal training.